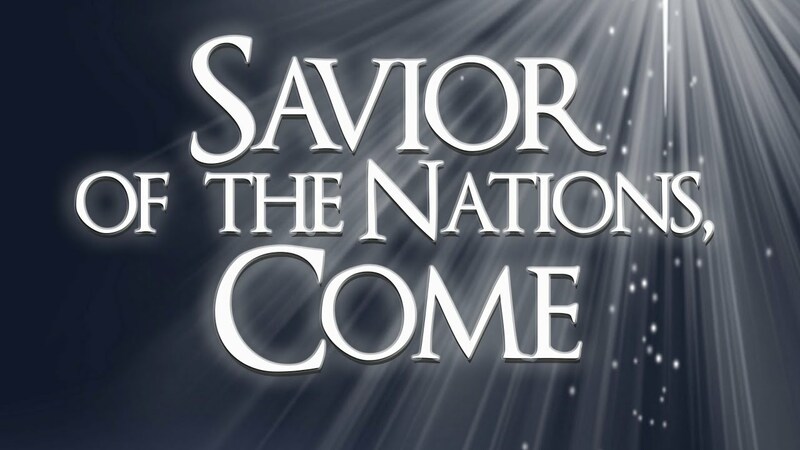 “Savior of the Nations Come” is called the Advent hymn par excellence. It was originally written in Latin by St Ambrose (c.339-397), the bishop of Milan (northern Italy). Martin Luther later translated this hymn from Latin into German. Our English version is a translation of Luther's German. Ambrose spent much of his life fighting the false teaching of “Arianism,” which teaches that Jesus was the first-born creation, but denied that He was God. To combat false teaching, Ambrose wrote, taught and composed hymns to teach the orthodox faith. But perhaps Ambrose's greatest gift to the church is the hymn we are now considering, “Savior of the Nations, Come.” In this hymn he sings what he teaches, extolling the wonderful truth of the person and work of Jesus. It is this salvation that causes us to break forth in praise to the Holy Trinity. “Praise to God the Father, sing! Praise to God, the Son, our King! Praise to God the Spirit, be! Ever and eternally.” Amen.